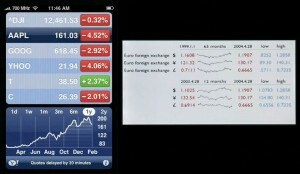 Edward Tufte has posted a video critique of the iPhone’s interface. Please take a moment to watch it before reading my reactions, I don’t want to bias your own reaction. Tufte makes some really great points. I was constantly nodding my head as he spoke about the content becoming the interface. Just last week I was commenting to another designer on how the interface in software should get out of the way when it’s not needed. Tufte’s definition of “computer administrative debris” is spot on, and I’m great full to have a term for something I’ve been having trouble defining in words. 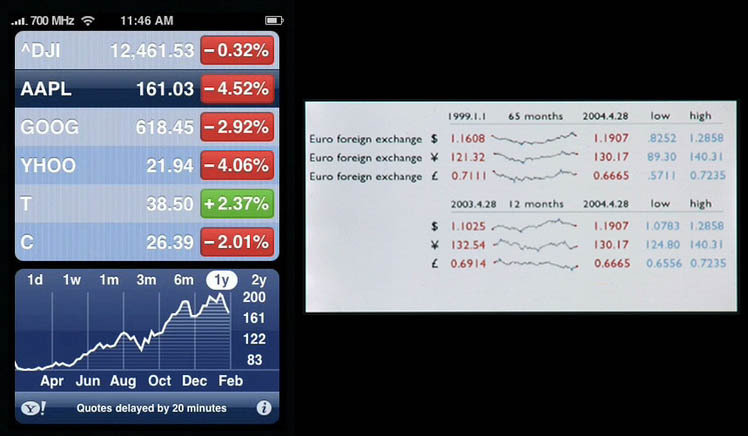 I have to say though, I disagree with Tufte’s criticisms of the Stock and Weather applications. He takes the stance that the high DPI of the iPhone’s screen is going to waste, rendering “cartoon” displays when image resolution could be used to present much more information. However, I think he’s missing the context of when these applications are used. When I’m walking down the street, and I want to know the high temp for the day, I don’t want to have to stop walking so I can squint at 6pt type on a 150 dpi screen. The large “cartoon” renderings present the user with the information needed at a glance. If more information is needed, there are resources like Weather Underground to give it. Likewise, if I want to know how my stock’s doing, I don’t need a 64 month history, I just need the change for that day, the week, or the month. If I’m contemplating buying a new stock, and a long-term history is needed, I have research resources for that information. Which would you rather glance at while walking down the street? 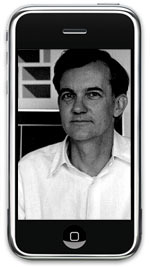 I think Tufte misses the point that the iPhone is an internet appliance, not a computer replacement. Just as I only need hours and minutes on my watch, I only need the essentials of information on my phone. Thankfully, because of Safari and some great third-party applications, we also have the option to dig deeper on the iPhone. The beauty of Apple’s approach, though, is that they understand the contexts of their products so well, and seem to understand how much information we want, and when we want it. I’m excited to see Tufte releasing such a great video on new technology, in a way that we can all see it for free! And I hope my reaction doesn’t come across as a knee-jerk defense of Apple, it really isn’t. I think this gives us a good opportunity for a conversation about context, and when usability and content density meet.